With still several weeks still to go before this winter is over Barn owls are showing signs of a shortage of food. With continuous rain and flooding even ‘Winterwatch’ claimed that even mice populations were crashing in many part of Britain. Disappointingly the presenters of this programme did not raise the connection with so many birds of prey ending up in rehab stations, especially Barn Owls; of course the reason was a lack of food! Many bird clubs and natural history societies are seeing a surge of records of Barn owls hunting through the day which does not match the normal, and with 3 continuous days of rain forecast for the coming week the owls will suffer even more. 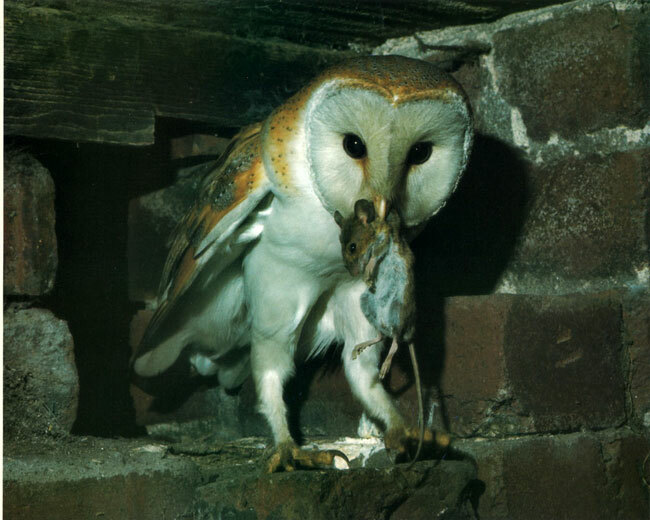 Day time hunting by Barn Owls gives this species an additional potential problem to contend with, their food being stolen by Kestrels and Buzzards. Barn owls are even predated by species like Goshawks taking the birds in daylight. Yesterday Saturday 6 February, one of our followers contacted us to report she had witnessed 3 individual barn owls hunting between 1pm and 2.05 pm. She recorded the first owl south of Lancaster on Cockerham moss. 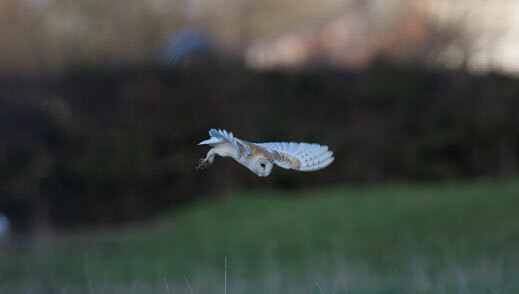 A second owl was the seen 20 minutes later flying over fields near out Rawcliffe west of Garstang. A third owl was then observed at 2.05 pm flying across the road at Scronkey near Pilling. Last year’s disastrous breeding season for the Barn Owl will leave few birds to replace the ones lost this winter. A dry spring with plenty of warm weather are needed to replenish mice and vole populations giving this bird a chance for a successful breeding season as alternative food is limited for this species. 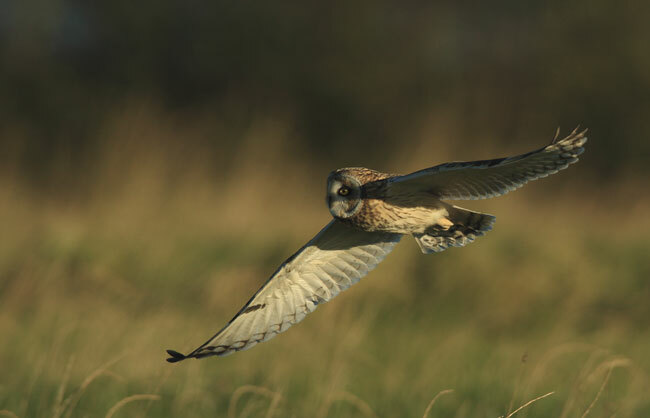 The decline in voles could potentially have a detrimental effect on short-eared owl numbers as well. Below we have added a capture of a short-eared owl hunting on farmland at Scronkey near Pilling this morning by Terry Pickford. Image courtesy of Terry Pickford, shot with a ‘camera’ and not a ‘gun’. Please report any sightings of daytime Barn Owls to your local bird club so a full picture across the UK can be established. It’s a pity programmes like Winterwatch don’t put more emphasis on the plight of The Barn Owl as it has been struggling for many years and even when they have a good year it doesn’t make up for all of the bad ones. Sadly over 70% of young Barn Owls will not survive to see their first birthday and the average age for a wild Barn Owl is only two, also there is the constant threat to their native habitat, most of it being built on or buried under new motorways and high speed rail links, the ingestion of rodenticide through the food chain, collisions with vehicles, drowning in water troughs and starvation. These iconic and beautiful owls are also being persecuted, don’t think I need to tell you who by. Why don’t the people who make these programs talk to the people who run rescue and rehabilitation facilities and get a true account of the dreadful situation that our owls and birds of prey are in, it is not a happy story and it is a sure fact that the present government are not going to help our wildlife in any way. Why is it that the BBC and ITV are so frightened to tell it like it is. I suspect diurnal hunting may vary regional – 5 records (2:20, 2:00, 1:00, 0:15 and unspecified hrs before sunset) in c.1500 reports 1991 to date in Lothian SOC database, plus one I recall still hunting in the hour after dawn – though this detail possibly omitted from some. Buzzards may be a problem here, I saw a brief interaction in the 0:15 hrs case. On general health I recovered one from A1 this week which was just 226g (wet), the second lowest in 50+, and previously have had one which starved which was heavier; weeks of wind and rain must be having an impact. Having said that, only two dead on roads this winter, whereas 16 Dec-Mar last year with 10 in a month from mid-Jan when suddenly colder here – though of course this followed a better breeding season. It is quite common for Barn Owls to hunt during the afternoon, it is nothing new. I have had three injured Barn Owls in this year, all vehicle collisions and all underweight. I don’s dispute that it is not new, my point is it is very rarely reported here in SE Scotland in recent decades, <<1% of observations for certain, though there will of course be other records which are not submitted; perhaps in other parts of the UK where different conditions prevail there may be differences in this behaviour. Amongst the records I mentioned above most/all were in periods of decent weather, 1 in Aug, 1 Nov, 2 Mar, 1 Apr, and the dawn record in May. I'm not aware of any diurnal hunting records in hard weather Dec-Feb. There is an amazing amount of difference between say Cumbria and Lothian rainfall and the fact one areas has food and another has not. That is why the more records submitted this winter will tell a real story followed up by breeding records in the summer and the tilt of success to failure may be from west to east in Britain. I counted 43 road casualties last winter..the bulk of which were in Oxon A34 & M40, Berks A34 & M4, Wilts M4 (10 on 1 journey in Feb), & Somerset M5 with smaller numbers in Essex M11, Surrey A3 & M3 & Norfolk. The majority naturally between Nov & end of Feb.
Have only seen 3 all A34 in Berks this winter. This is probably partly due to milder weather but probably also due to the fact that there are fewer birds. The available habitat is disappearing so they can’t be hunting elsewhere. I also wonder how much southerly movement there is if there is a cold snap in the north ? I generally only cover certain routes in the south so I dread to think what the number of road casualties are nationally ? This and all of the other pressures make it a harsh world for the future of poor Tito.